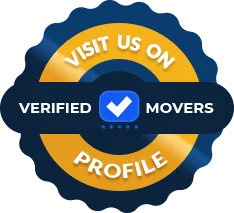 Alliance movers handled my items very professionally and diligently. I took the time to research moving companies thoroughly as I was looking to cut moving costs. Their offer seemed very affordable, neither too high nor too low. The truth is that what I expected was an average service, but I ended up being super satisfied with my move. They managed to work with my tight schedule (and budget) and everything turned out better than expected. I will not hesitate to contact them if I have to move house again. They are the most reputable and trustworthy service providers I’ve ever met! And left me with broken damaged furniture missing boxes and damaged items. I am sick that I chose them . I should have rented a truck and done it myself . I will NEVER TRUST ANOTHER MOVING COMPANY AGAIN. I tried to communicate with them but they dismiss me. They are not honest people . God is just. Only reason I'm writing this review is because the guys that came on pick up a really funny and definitely made the entire move for me. Not only were they Charming that they would definitely careful with my stuff as well. As a result out of all the moves that I have made from when I was a child until now, this was definitely by far the best one. Last month I had the biggest move that I have ever made. 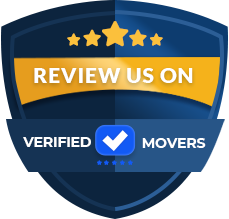 I used Alliance movers and they did an excellent job with handling all of my stuff very carefully. I have a lot of China, as well as Crystal. Additionally, I have a ton of large furniture that they wrapped which was included in the price. The price that they did offer me was exceptionally good, especially compared to other companies that I spoke to. The whole move was a very easy process. It was definitely stressful, but they went out of their way to make me feel better about it. They did this by keeping me updated all of the time. I would definitely recommend them if you are looking for a company whose going to go out of their way for you. Alliance Movers began over 20 years ago. Because of this, they have some of the best experience you can find. They offer great customer service and can ensure that you will have nothing but satisfaction with them. They are a full service moving and storage company. Their team consists of nothing but professional movers and packers. They know exactly what they are doing and how to relieve your stress. They have many different kinds of vehicles to assist you with your move. No move is too big or too small. They have what they need to make your move flawless! Are you just moving down the street, but do not know where to start? No worries! Alliance is ready for you. It does not matter if you are moving down the street or across the state. They understand the differences between local and long distance moves. Therefore, they know just how to help you. That being said, they also offer long distance moves. These kind of moves can come with a lot more stress and tension. They understand that. They not only cover every inch of the United States, but they also cover Canada. If you are a business and are looking for that perfect mover, Alliance Movers can help. 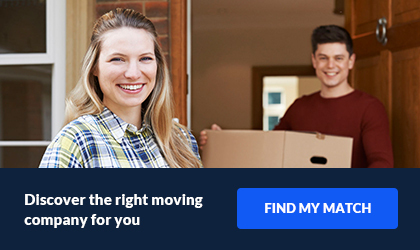 They understand that you must continue working throughout the move. They ensure not to disturb the business and get it done in a timely manor. Regardless of the type of move, they also offer packing and storage options. Full and partial packs are offered for you. This is a way to ensure that you do not have to lift a finger during your entire move. For storage, the offer short term and long term options. If you are not quite ready to receive your items, you might want to think about these options.